First, a bit of theory about learning. In 1980, Shlomo Vinner, an Israeli mathematics educator, coined the terms ‘concept image’ and ‘concept definition’ to highlight the difference between what students actually know about a concept and the formal meaning of the concept. David Tall, an English mathematician and educator, is credited with promulgating the term ‘concept image’. It is a very useful one when thinking about functions. It refers to the collection of images, ideas, examples, experiences a student has thrown into the mental ragbag labelled ‘functions’. The contents of the ragbag are partly due to teaching, partly to the curriculum, and partly individual. Now here is a current comparison between what happens in Shlomo’s and David’s countries. The Israeli curriculum takes a very formal approach to functions, introducing the word ‘function’ in the equivalent to our year 8. Comparatively, it is only in year 12 that things begin to get defined and formalised for students in England. I have studied this recently with Michal Ayalon from Israel and Steve Lerman, an English mathematics educator who is also fluent in Hebrew. We have been able to compare the contents of the ragbags of English and Israeli students. The reason that this might be of interest to you is that the differences have implications for decisions about when to first mention ‘functions’ as a unifying idea. Arthur said: I see functions as input-output machines, which receive some input and give an appropriate output. Which one of the following statements reflects your thinking about Arthur’s description of functions? Mark your response and explain your choice. All functions fit Arthur’s description. Some functions fit Arthur’s description. Ruth said: I see a function as a mapping of each element of one set to exactly one element of a second set. Ian said: Functions for me represent relations between variables. Naomi said: A function shows how one variable changes in relation to another variable. Now, after you have responded to these ideas, write what is a function for you. You might like to imagine what you hope your year 12 students would do with these prompts. Here is a table that shows the dominant ideas for students in different years (10 per year) in the two countries. You can see that, for students who had a dominant idea, there is clear difference between the responses from the Israeli and English students up to year 12. The teachers who worked with us explained that these ideas match their teaching approaches. The ‘function machine’ approach in England is the first use of the word ‘function’ in early secondary, while, in Israel, the relations between variables are stressed from the start. However, we know from other data that English students do know more than this implies: they know about linear and quadratic functions, but often do not recognise them as ‘functions’. In textbooks they are often called equations or relationships or graphs rather than functions. Our conclusion was that using the word ‘function’ to unify what students know is important to ensure that all the relevant bits get put into the ‘functions’ ragbag. Israeli students seemed to have a very full concept image for ‘functions’ from which they could draw out examples and counterexamples to help with their explanations. English students did not show this richness, relying only on limited experience of the use of the word ‘function’ to mean ‘machine’ or, in year 12, a new idea of mapping. I think this reflects the way functions were chopped up in the old curriculum, and maybe the new one can provide an opportunity to collect all the bits that your students know about and coordinate them into a unifying and powerful concept image of ‘function’. You can find more detail about this project by contacting me through pmtheta.com. Anne Wats on has two maths degrees and a DPhil in Mathematics Education, and is a Fellow of the Institute for Mathematics and its Applications. Before this, she taught maths in challenging schools for thirteen years. 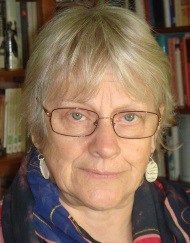 She has published numerous books and articles for teachers, and has led seminars and run workshops on every continent. ← Is it ever OK to swear in professional life?